New Hylian Loot Box, with sample items from my upcoming FandomCraft ReMix mod. Many new animated or 3D-modelled items with custom sound effects. Tons of randomly-dropped loot boxes containing *hundreds of new items. Melee weapons, ranged weapons, throwable weapons, traps, special effect items, etc. Colourful item display names show off their rarity/tier for extra showing off. *The current release is mostly a concept version and only contains around 60 items, but there are literally hundreds more already soft-coded into the game and will be added as soon as I make their textures/models. NOW HAS A CREATE-YOUR-OWN LOOT BOX DESIGNED FOR SERVERS! Use it from Creative Mode to fill it with the contents of your inventory. You can then freely distribute it or offer it as a prize or use commands/loot tables in resource packs to make them drop from mobs, appear in chests, etc. The unfilled, creative-only box is marked with a question while the filled player-friendly box has a happy face on its front. Since they use NBT, you can create however many different boxes with unique contents you want. NOTE: If you want to rename the Mystery Boxes, make sure you do it AFTER filling it, or else you won't be able to use it. CAN I REQUEST OR MAKE MY OWN LOOT BOX? 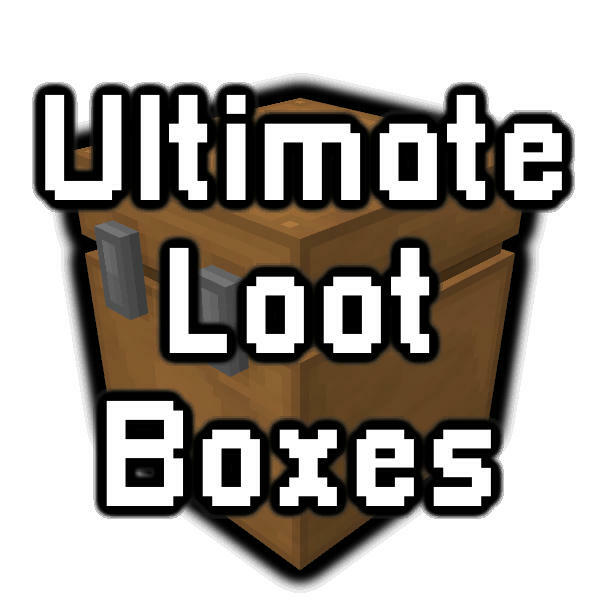 If anyone has an idea for a lootbox, feel free to ask and I'll add it into the game. Or if anyone wants to make a bunch of weapon textures and send them to me I'll turn them into your very own unique loot box with a "Created by (your name)" tag in the loot box and weapons' tooltips so everyone who uses the mod will see your stuff! Either way, no modding knowledge required. 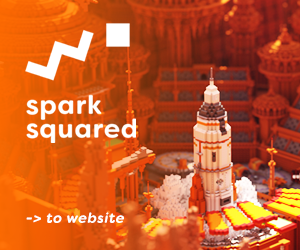 Credit Whoever made Blockbench - the ONLY good model-making software for Minecraft. Added Mystery Box (create-your-own loot box)(meant for creative/servers). 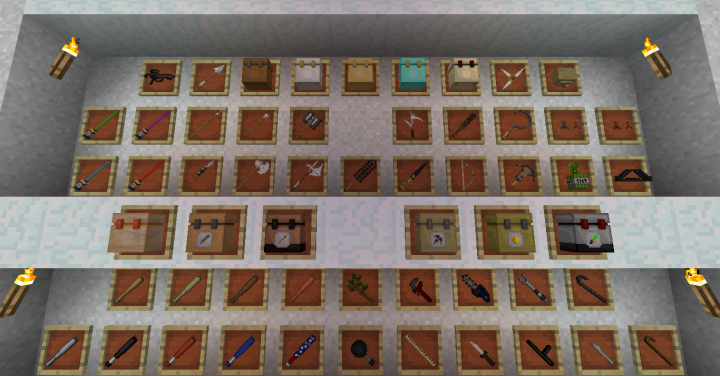 The next update (coming sometime this week probably) will have 9 new Loot Boxes containing over 100 new items, including various different types of melee weapons, bows and shields! The one after that will be add quite a bit of new armour sets with bonuses for wearing the whole set, and various individual armour pieces with unique effects. 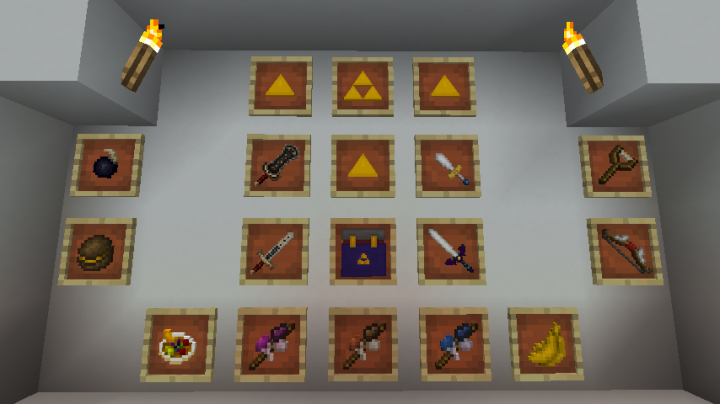 Latest update contains various Legend of Zelda items from my upcoming FandomCraft ReMix mod in the new Hylian Box.